You could write a doctoral thesis on death metal band Ulcerate's complex musicality, and the band's latest album, Vermis, is another stunning mix of science run amok, organic madness, and clinical brutality. Sometimes it takes a seemingly unrelated source to explain why an album is so damn good, and that's certainly the case with Ulcerate's latest album, Vermis. The band's first album for new label Relapse is the death metal album to beat in 2013, at least in the sub-genre's more technical and venturesome sphere. Admittedly, that might seem debatable, especially as Colored Sands, the latest release from similarly adventurous death metal legends Gorguts, is a masterful display of technical finesse and ferocity. However, there's a very good reason why Ulcerate's album edges ahead, and the reason is provided by the world of evolutionary biology. It's not surprising that a scientific theory could help explain why Vermis is such a commanding album, and why Ulcerate is such a fascinating band; after all, you could write a doctoral thesis on Ulcerate's complex musicality. The evolutionary theory of punctuated equilibrium argues that, while most species show little evolutionary change over their history, rapid changes can occur on the fringes of a species, where adaptive evolution kicks into a higher gear due to factors such as isolation. If you refocus that theory on death metal, and note the fringe-dwelling location of Ulcerate, the band's innovate adaptation of the sub-genre begins to make a lot of sense. Based in Auckland, Aotearoa New Zealand, Ulcerate has been able to craft music isolated from the main branch of death metal. That's not to say New Zealand lacks other death metal bands, or that Ulcerate is immune to overseas influence. The band has toured internationally, overseas groups regularly visit New Zealand's shores, and of course Ulcerate's members have record collections likely to be filled with the works of Deathspell Omega, Immolation, Portal and, yes, Gorguts--all bands mentioned in relation to Ulcerate's sound. However, New Zealand's geographic remoteness, and the nation's idiosyncratic and driven creative culture, has allowed Ulcerate to bring something fresh and unorthodox to the death metal underground. The band has developed a truly distinctive voice, one that was first heard by the majority of the international death metal community on 2007's Of Fracture and Failure. That album certainly put Ulcerate on the map, but it was a mere appetizer compared with 2009's Everything Is Fire, and 2011's The Destroyers of All. Both those albums were unquestionably intense and impressive displays of technicality and originality, seeing Ulcerate garner increasingly more attention and acclaim in the global metal scene. The reason for that was simple: evolution. 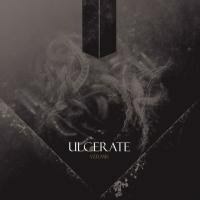 Ulcerate has continually refined its sound over the years, bringing more artful sculpturing to its downtuned dissonance and complex time signatures, and setting that against a backdrop of often droning and industrial textures. The band's work has evolved to become steadily more nerve-shredding and formidable, with the usual riff-based shreds of death metal mutilated into a seething and polychromatic canvas of avant-garde atmospherics. Ulcerate meticulously constructs its albums, including progressive elements from post-metal, glimpses of noise in the tone and distortion, a marked post-punk chill, and the fury of eccentric black metal. That blend of sounds, built upon a firm foundation of technical death metal, has led some to suggest that a post-death-metal descriptor suits Ulcerate best--because we're dealing with an entirely new species here. No one makes death metal as cold, monolithic, or intimidating as Ulcerate. Bands like Obscura, Suffocation, Hate Eternal and Gorguts are awe-inspiringly technical, and Portal is similarly abstract and agitating, but those bands aren't mangling the rules of physics quite like Ulcerate. Debates about where the band sits in the taxonomy of death metal will no doubt begin anew with Vermis because, like Ulcerate's previous releases, the album is likely to evoke a powerful reaction. The crushingly heavy technicality on the nine-song release will either be wholly attractive and hypnotic, or simply bewildering. There are no doubt a few metal fans who appreciate where Ulcerate are heading in theory, but are left scratching their heads trying to find an entry point into the band's works. The cryptic and claustrophobic vortex of Vermis won't make that quandary any easier, and if you felt Ulcerate's sonic template was a maelstrom of inaccessibility before, nothing has changed in that regard. Still, challenging music is the point here, and if there's one thing Ulcerate demands, it's full commitment to its releases. Once again, guitarist Michael Hoggard provides deluges of malformed riffs and piercing notes plucked from the depths of the cosmos--all routed through his own disillusionment and disturbing visions to fire his outré creative spark. The slow hypothermic intro of "Odium", and mid-album instrumental "Fall to Opprobrium", show how effective and chilling the band can be when pared down to bare industrial bones. However, it's the multifaceted and atmospheric turbulence of "Clutching Revulsion" and "Confronting Entropy" that exhibit the band's prowess at splicing anti-harmonic insanity with maestro dexterity, to hammer the inhospitably home. A mix of science run amok with organic madness and clinical atonality and brutality is what made Ulcerate's previous albums so successful, and Vermis adheres to the strengths of that distinctive formula. All the doom and despair of the band's aesthetic is ever-present, and it's evident from the thematic sophistication of Vermis that Ulcerate clearly concentrated on pre-production to hone its songs instrumentality--ensuring the album's velocity, rhythm and pacing was aptly portentous throughout. As with The Destroyers of All, there's a complicated mix of squalls of noise, torrents of intricate notes and percussive patterns to be balanced here. However, Vermis's production maximizes the aggressiveness and impact of the band's sound, cutting dark churns with crystals of steel, allowing Hoggard's riff puzzles to be deciphered, and bassist and vocalist Paul Kelland's guttural growls to form another layer of voice/instrumentation. It's a mammoth mix, the best from Ulcerate so far, as bitter and oppressive as Everything Is Fire, and as strangulating and swarming as The Destroyers of All. Production aside, Jamie Saint Merat's drumming on Vermis shows great agility in driving the blastbeats home, and providing more serpentine sprints around the drum kit (best exhibited on "Cessation" and "Await Rescission"). Both tracks see the band's progressive tendencies mining dread-filled terrain, and those ominous feelings, which Ulcerate evoke so well, ensure Vermis lingers. So much technical death metal is replete with impressive runs up the fret-board, but the über-technicality of it all blunts any long-lasting hooks. Ulcerate provides nothing along the lines of what you'd call a catchy tune either; there are no old-school riff grooves being dug on Vermis, just deeply discordant furrows gouged out of the earth. However, what Ulcerate does provide, endlessly, is a bone-chilling sense of unrelenting darkness. Tracks like "The Imperious Weak" and "Weight of Emptiness" come with a strong sense of foreboding. That's something you'll come back to in the search for unnerving tunes that dazzle with the extremity of their sonic components, all perfectly matching their grim substance. Vermis is a challenging album, and also electrifying. It's unconventional, and it transforms death metal into something transfixing and novel. It certainly fits into the wider ordo of death metal, resides in the familia of technical death metal, and you could rightly situate it in the genus of progressive technical death metal too. Still, it's the species that's most interesting. There's imaginative (and murderous) musicality here that would easily occupy space in the avant-garde metal realms. Ultimately, the fact that it’s necessary to debate how to best to describe Ulcerate proves just how innovative is the band’s approach to death metal. Like Ulcerate's previous releases, Vermis is a forward-thinking album to savor over time. Repeated listening reveals more layers and buried detail, and there's abundant wrathful dynamics and density to luxuriate in. The songs on the album are constantly wrenched to and fro in an exceedingly hostile environment, and Ulcerate batters them remorselessly until only the strongest and most powerful elements survive. That's evolution and adaptation in action. That's why Vermis is one of the very best death metal albums you'll hear in 2013.